Licensed, bonded, and on call 24/7 in case of electrical emergencies, Gateway Electric Inc. provides full-service installation, maintenance and repair on your schedule. The highest rated commercial electricians in Mississauga, we keep our reputation by skillfully handling any job that comes our way—whether it be a small wiring job, or a large contract bid. 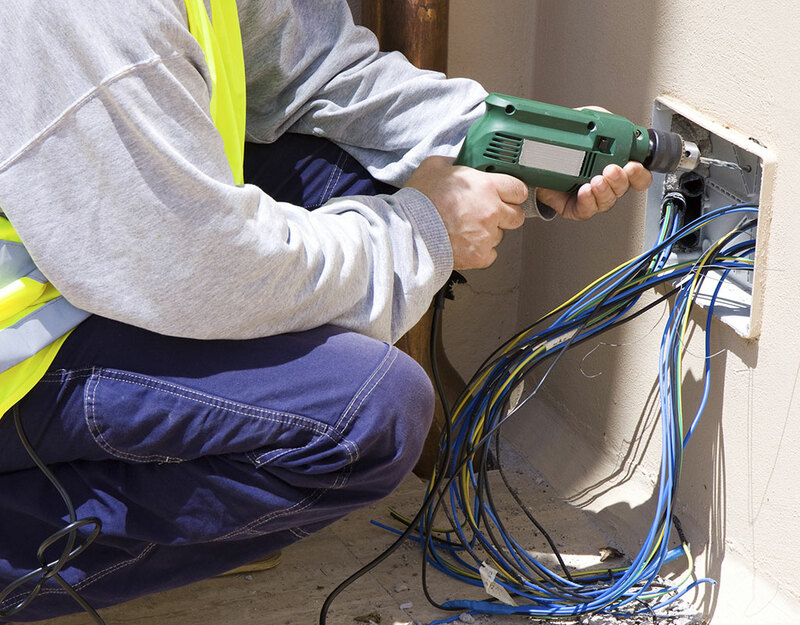 When you call Gateway Electric, we provide the personal touch that comes with dealing directly with a business owner. An equal amount of care and efficiency is put into all projects, and in cases of emergencies, our response time is as fast as traffic will allow. Contact us today to get your questions answered, and to book our first meeting. Electrical emergencies are no joke. If you find burning wires, see smoke coming from any device, feel panels heating or see flickering lights, don’t ignore it! If there are no other situations that would have caused lighting outages, such as a storm or block-wide power outage, don’t take the risk—call Gateway Electric and we’ll put your mind at ease. If you need any commercial electrical job completed, don’t hesitate to give us a call. We can visit your Mississauga business and provide you with a quote and same-day service depending on the size of the job. We perform a variety of installations but generator installation is perhaps the most important. An electric generator converts mechanical energy into electrical energy and will power your company’s system. Hand in hand with this is circuit installation, we’ll place electrical boxes, run cables and wire the new breaker. Need knob and tube wiring replaced? Have exposed wires? We can fix that! There are lots of older buildings in Mississauga, and with the right repair and upgrades you’ll save on energy bills and worry less about hazards. Electrical codes set guidelines to avoid electrical hazard and are occasionally upgraded. To keep your commercial space safe, schedule regular safety inspections so we can update and correct errors. Energy audits are important for commercial and institutional buildings. We will inspect, survey and analyze the energy flow in your building to find ways to reduce energy consumption and generally improve how your system works. The job of a commercial electrician doesn’t end after electrical installation. The world of electricity is constantly evolving with safer, more convenient, more eco-friendly options, so it is important to stay up-to-date on it all so your business doesn’t fall behind. The unfortunate fact of the matter is that electrical maintenance is an area which is often overlooked by businesses in Mississauga. However, failing to properly maintain machines or appliances can result in serious consequences for you and your employees. This could include dangerous hazards including shock and burn, fires as well as ignition of potentially flammable or explosive atmospheres. Don’t make this mistake, instead call Gateway Electric Inc today. Regular maintenance by a licensed electrician will keep you safe and, more often than not, will save you money. At Gateway Electric Inc, we know that as a busy commercial enterprise in Mississauga, you might not always have the time to think about your business premises electrical needs. However, without regular maintenance work, your business’s electrical system is at serious risk of suffering severe damage that could end up costing your business thousands of dollars to fix. On top of the financial benefits that regular electrical maintenance provides, it is important to remember that managers and business owners have a duty of care to keep their employees safe while in the workplace. As a result, this means that any repair work will be less serious as small problems won’t have turned into major issues. This will end up saving you time and money. And in an industry as competitive as many of the sectors in Mississauga are, you don’t need us to tell you how important it is that every dollar is taken care of and fully accounted for. The simple fact of the matter is that when it comes to electrical repairs, installation or work of any other type, you really can’t afford not to hire a professional. Yes, it is true that a certified electrician will cost more than an untrained handyman or doing the work yourself. However, what may seem like a savings in the short-term could end up costing you far more in the long-run if you make the wrong choice. Don’t make this mistake, contact Gateway Electric Inc today and allow us to take care of everything. The reality is that our skilled team of electricians have the experience to deal with any electrical issues you may have quickly and safely. What’s more, our expertise in this area means that we can spot problems and deal with any electrical issues without breaking your business’s budget. We can deal with commercial machinery and appliances of all types and can provide other services such as disconnection and reconnection should you need to move your commercial office to a new location. Give us a call today to reserve your appointment and receive a free estimate on services. We’ll get your electrical system installed, maintain it, or perform any necessary upgrades and repairs. At Gateway Electric, full-service means full-service! We’re passionate about the work we do which shows in the jobs we’ve completed for many satisfied commercial clients.